A co-operative campaign game played on an atlas book and made of branching narrative decisions, take on the role of Captain Sofi Odessa and her crew as they work together to survive in a strange world. Explore exotic islands, meet new characters, and try to return home. Do you come from a land down under? 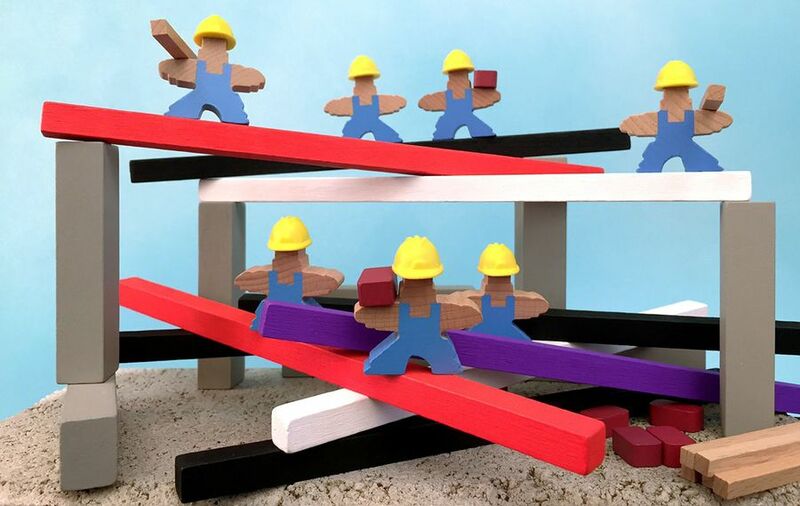 Maybe not, but this adorable dexterity and stacking board game is ready for you to get to work! 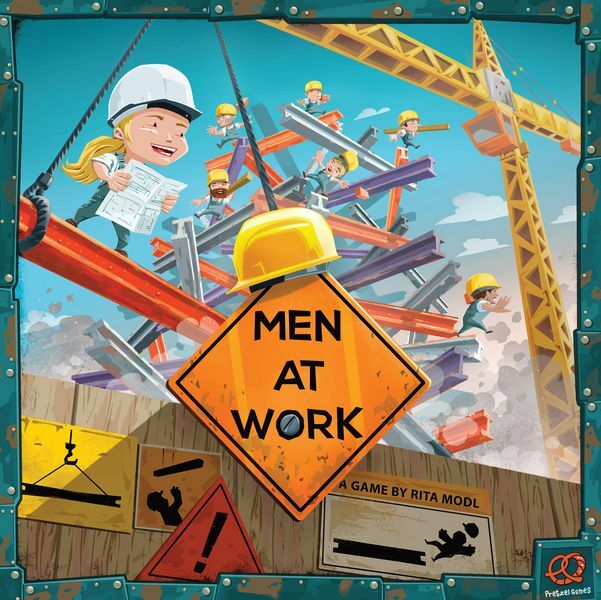 From the publisher: Men At Work is a stacking and balancing game in which players compete as workers on a job site who are carefully constructing a tower to avoid accidents and, maybe, earn Employee of the Month. The game includes three gaming modules to add loads of replayability, as well as wooden components housed within a well-designed insert for easy set up. If this bright colorful game of girders and balance draws you, you can get it right now. A dark sense of humor meets mediumweight strategy in Dead Man’s Cabal, a Pandasaurus production with plenty to love. Apart from the production design (3D bone sculpts!) and artwork, the game is reminescent of Puerto Rico, Terra Mystica, and Race for the Galaxy in your bid to raise the dead as a necromancer who wants to make their own friends. Vindication looks amazing and is almost over! A fantasy game of tableau building and area control, Vindication was on Tom Vasel’s top 5 games of the year and looks absolutely stunning. Cthulhu War’s Sandy Petersen heads for the stars in Hyperspace, a game of asymmetric factions and conquering the galaxy with a ton of scifi/horror minis, if you’re into that kind of thing. Way on the other end of the spectrum is Parks, a phenomenal looking game of exploring the US National Parks that pledges to donate a portion of the game’s revenue to the National Park Service as long as the game is in print. Oh and there’s a game in here too.